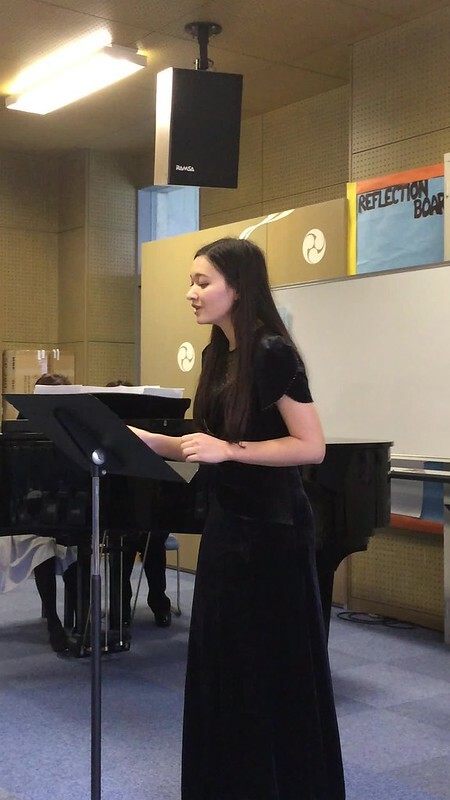 On Tuesday the OIS music department hosted an International Baccalaurate (IB) music recital. Performing were IB music students Sara Okino and Leila Sakamoto. As part of the IB music curriculum, students need to submit videos of performances for IB examiners to assess. Both of the grade 11 students composed original music pieces for the performance. They were accompanied by other SOIS students. Sara’s speciality is voice and her vocal skills and range were exhibited with a variety of singing styles from traditional Celtic to modern musical theatre songs. Leila is an accomplished violinist, and besides having her classmates play her original piece, “Stained Glass and Instability”, she played Bach’s Partita No. 1, a four-movement piece written for the violin. The audience was moved by the stirring performance. The IB music course consists of composition, performance and critical analysis of music. It exposes students to a wide range of music forms in a wider range of historical and social contexts. 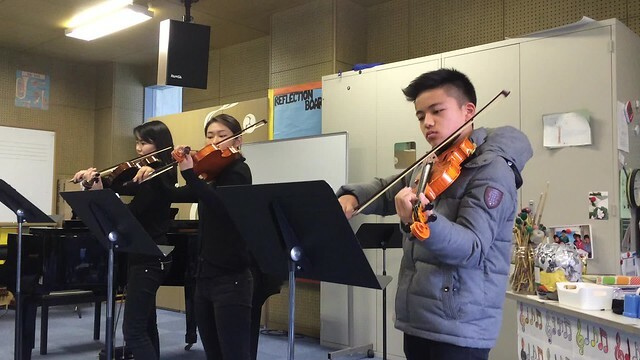 It is the highest level of study a high school music student can complete in an international school. Congratulations to Sara, Leila, and music teacher Mr. Vernon Villapando on the recital. We are looking forward to hearing more from them in the spring concert. Previous Post OIS Students Run to Disney Tokyo!